Spoiler warning: details for Cardfight!! Vanguard Season 1 and Yu-Gi-Oh! R Volumes 1-5 follow. He was on the team for the original Yu-Gi-Oh! manga, though his exact role isn't specified. 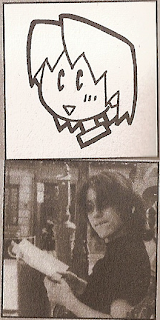 Ito did key animation for episode 9 of Mirai Nikki, as well as some side work for Samurai Champloo. Over the course of four years, he personally drew every panel of Yu-Gi-Oh! R, and is also said to have some hand in the story, even though Takahashi is listed as the main writer. Ito also assisted in the creation of Yu-Gi-Oh! GX. Volume 5 of Yu-Gi-Oh! R is his most lauded individual work, as it's an absolutely massive 256-page manga that showcases incredible writing and art. As each individual volume of the manga had already made its way onto the New York Times best seller list, a certain measure of quality was to be expected--ultimately however, Ito exceeded any expectations the readers could have had up to that point. This appears to have kickstarted his career as an independent artist, as the final page of the Japanese release says to look forward to his next project, which would turn out to be Cardfight!! Vanguard two years after volume 5's conclusion. What this article is concerned with though, is the recurring themes and design choices common between R and Vanguard. Sharing both a writer and artist, it's natural that these manifest. 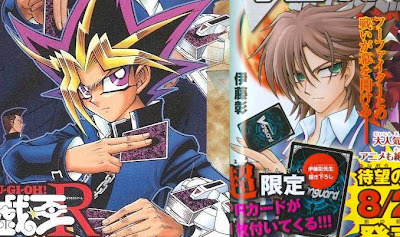 For the intents of this article, it should be clear that I am in no way suggesting a lack of originality, or of Vanguard being a "rip-off" of Yu-Gi-Oh! ; the two series are different beasts that follow different rules. The characters even make identical facial expressions. 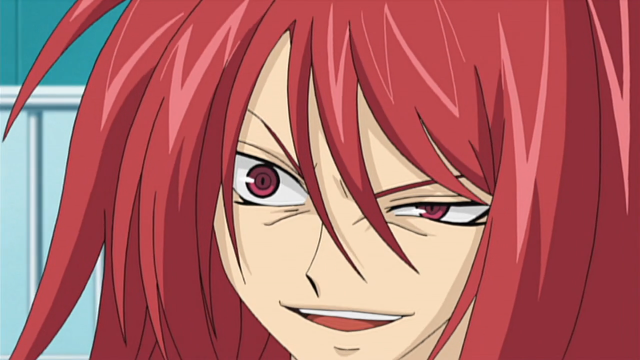 As in R, in Vanguard people are not the ultimate source of evil. Perfectly well-meaning ideals are made to be compromised by forces from outside the characters' context. 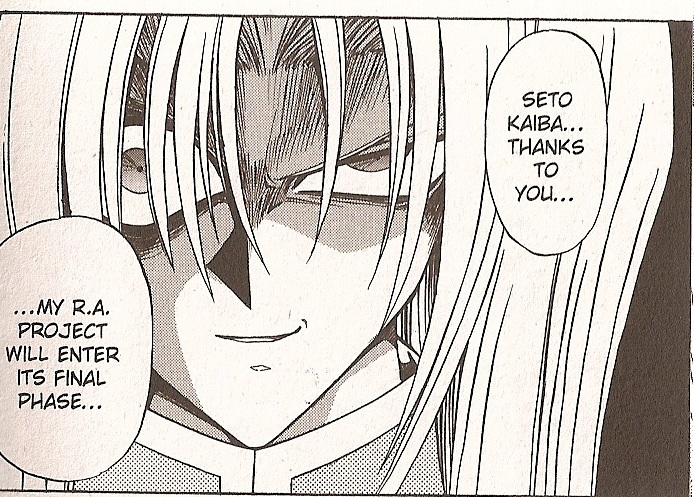 In R, Tenma Yako's desire to resurrect Pegasus J. Crawford, is twisted by his means of doing so--the Wicked Gods--into a mindless lashing out at Pegasus' perceived murderer, Mutou Yugi. This has its own parallel in Vanguard; Suzugamori Ren's longing for the strength to support his friends is engineered by the power of PSY Qualia into a lust for humiliating his opponents. Both characters have lost sight of their original goals, and are instead given to a desire to, in Ren's own words, "take everything." And both of these characters have their foils, who stay by their former ideals but reconstruct them to adjust for reality. Unlike his twin, Tenma Gekko is not so vested in reviving Pegasus that he would sacrifice innocent lives to do so. Though he disagreed with Yako, Gekko still kept by his brother's side up until Yako's Project R.A. was brought underway. 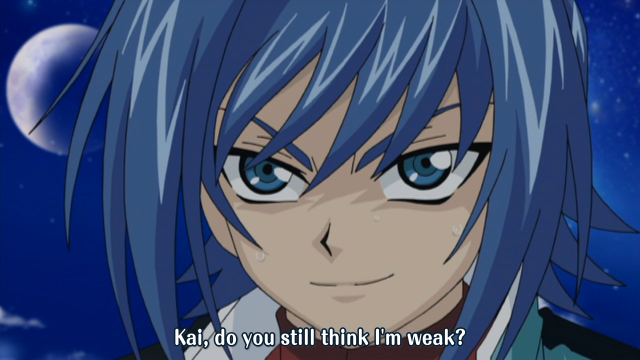 Similarly, Shinjou Tetsu initially continues to stand by his old friend Ren, becoming a Foo Fighter where Kai chose to run from Suzugamori's plot. Just as Gekko eventually turns away from the Rebirth of Avatar altogether, and rebels against his brother believing that Pegasus' death has made them stronger, Shinjou Tetsu expresses a gradual shift in the aftermath of his match with Kamui. Where he should have felt triumphant over his victory, Kamui's comments on the meaning of a team prompts Tetsu to look up at Kai in the stands and seemingly reevaluate his position. Though Vanguard's first season has not yet finished airing, it is fair to say that this may be the extent of Tetsu's development towards Gekko's decision--because Gekko's role is actually split between two characters, Tetsu and Kai. While Tetsu represents the Gekko that chose to stay with his brother, as well as the overall attitude of Richie Merced and Depre Scott, Kai Toshiki is the Gekko that opposed Yako. And for that, Ren resents him, as Yako did--though unlike with Merced in R, it's ultimately Ren himself who puts Kai on his knees. Despite how the iris is depicted, Kai seems to have inherited Yugi's general eye and ear shape, as well as facial structure. Though Ito owns nothing of Yugi's uniform design, the style in which the uniforms are drawn is significantly similar--Ito himself has a very defined, angular way of drawing these clothes. This form is unique to himself. And although the comparisons are frequent, where he serves the same function for Ren that Yugi did for Yako, Kai ultimately resembles Seto Kaiba in design alone. Kaiba's coldness towards others is because of an antagonistic personality and lack of respect for people, but Kai is a genuinely nice person whose childhood experiences have left him socially awkward. Ironically, a large portion of Kai's fan following can be derived from misinterpretation of his lack of social skills as self-confidence. Compare as to how he also resembles the initial counterpart I introduced, Gekko. 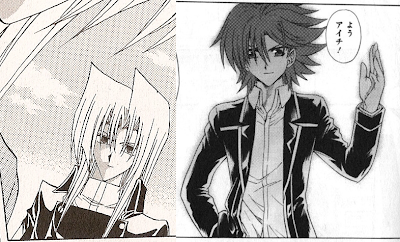 The absence of color throughout much of the Vanguard manga leads to decidedly similar artwork for each of them, both featuring predominantly dark, white-trimmed jackets over an interior white shirt and downturned collars. 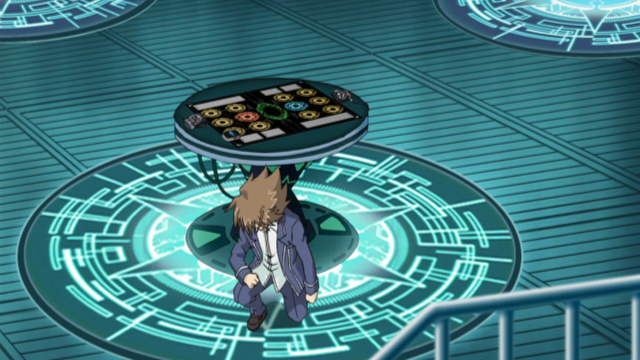 The buttons on Yako's double-breasted suit act as twin highlights beneath the shoulders to Kai's school uniform, which causes them to be shaded similarly under different light levels. Aside from the artwork, both are close individuals to the primary antagonist who, having defected from his group, act to correct their past mistakes while remain secondary characters to the protagonist. So if Ren is Yako, and Tetsu and Kai are together Gekko, then who is Bandit Keith Howard? Surprisingly enough, compare Suiko's actions with Howard's; she works in an advisory role to the antagonist, feeding him stimuli that compel him to clash with the protagonists. As Keith deceived Yako into believing that Yugi was Pegasus' murderer, Suiko was content with hooking Ren on the power of PSY Qualia, granting him Phantom Blaster Overlord to temper that strength and encourage his growth. The two avoid endangering themselves in straightforward battle, preferring to use others first, and then become confrontational only as their goal approaches. Setting wise, Yu-Gi-Oh! R's Kaiba Corp tower bears a distinct resemblance to the Foo Fighter HQ; the Foo Fighters themselves are the series' equivalents to the card professors guild. As such, the HQ serves much the same purpose as Kaiba Corp, being the antagonists' home ground. Volume 5 of R brings about a surprising turn of events which Vanguard eventually revisits; Yako uses the Fiend's Sanctuary magic card, which creates a monster with attack points equal to the opponents' remaining life points--in game terms, any one hit from such a monster would instantly win the game, though it would be either extremely weak or extremely strong depending on how much damage the opponent had already sustained. 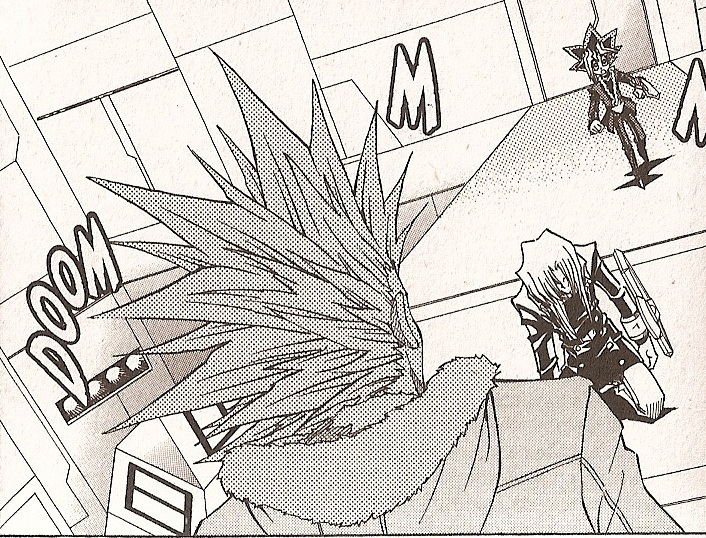 The monster the Sanctuary creates takes on the shape of the protagonist Mutou Yugi, and is used in the narrative as an allegory for Mutou's feelings towards the "Other Yugi" he became the host to at the very start of the series. This Other, an amnesiac ghost sealed within a memento from Mutou's grandfather, inhabits his body during duels, and so fights for him in times of need. 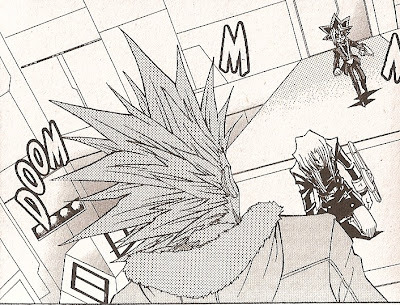 What Yako uses the Fiend's Sanctuary card to illustrate, is that Yugi can only resent his Other, who has stood in his place and gradually taken over his life by fighting his battles for him. Mutou Yugi is not himself the titular "King of Games"(Yu Gi Ou)--the nameless spirit he's become the host for has, and it is the spirit who has been living his life. While Yugi himself takes control of his body once more to refute Yako's claim, believing firmly that his Other is his friend and that it is because of the Other Yugi that he grew as a person and met so many people, this point does not go unvisited by Cardfight!! Vanguard. 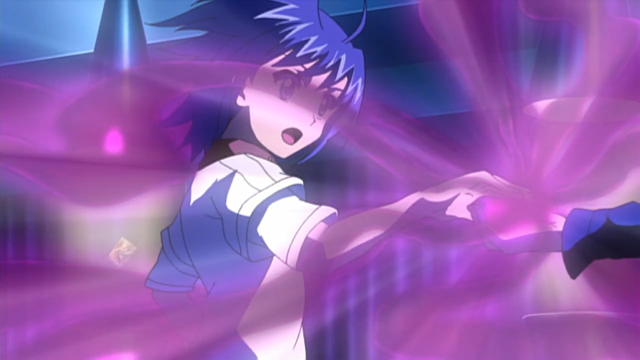 As the series progresses, the protagonist Sendou Aichi learns to "hear" his cards' voices, an ability eventually identified as PSY Qualia. A completed state of PSY Qualia is marked by auras appearing in the wielder's eyes during periods of use, and is accompanied by ever-expanding arrogance on part of the wielder that bears marked similarity to the personality traits exemplified by the Other Yugi in Yu-Gi-Oh! 's earlier chapters. Every known bearer of PSY Qualia gained it by craving power to please their friends; ride 50 epitomizes this during Sendou's fight with Kai. "Why? Why won't you understand?! I'm strong! I got strong!" "I believe that everyone has an 'other self' inside them. It may be your ideal self, someone who it's your goal to become. But when you're pressured to be a certain way by the expectations of your parents or the world, the burden may be too much to bear and you may lose sight of yourself. In other words, your 'other self' is something you have to create, not that people can force upon you. I think it's best to take it easy and keep an eye on your 'other self,' and aim for that goal. But don't stress out about reaching it right away." But where Takahashi embraces transformation as a tool of growth, Ito refutes it. Rides 43-50 of Cardfight!! Vanguard are a vicious deconstruction of transformation, and the superpowers which pervade comparable anime. PSY Qualia is ultimately rejected, as it is no longer the player that is fighting but supernatural forces from outside their control--and so the player is no longer playing at all. Rather than transformation being a necessary, positive change, it is instead a denial of the self while blindly attempting to live up to the expectations of one's peers, thereby compelling them to "grow stronger." This is not growth at all, but a furthered dependency on others. Ito consistently depicts the Wicked Gods as malevolent, shrouded monsters emerging from a human figure, an artistic decision which contrasts his narrative attitude that evil does not find its source in human forms. Phantom Blaster Dragon is similarly depicted as emerging from the humanoid Blaster Dark, whom in a previous panel was established as taking on Ren's appearance. In going with R's ending, it could be said that while evil does not originate from people, the fault still lies in human beings for taking the paths they march upon. Regardless of the influence of the Wicked Gods on Yako and PSY Qualia on Ren and later Aichi, these characters ultimately chose to lend their ears to these outside forces. I have discussed the word "bunshin" and the difficulty in translating it before, and R is yet another example of this term coming into play. 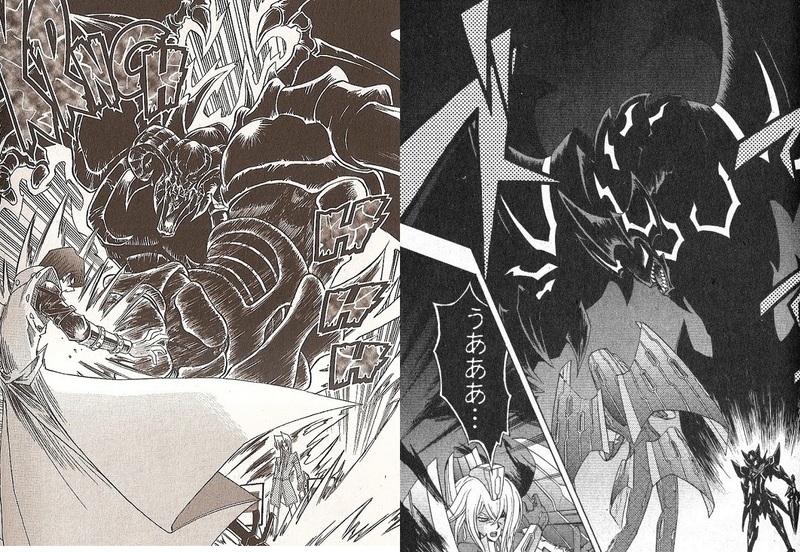 When Yako summons the third and final Wicked God in volume 5, he declares The Wicked Avatar(or as the original Japanese manga has it "ＴＨＥ　ＤＥＶＩＬＳ　ＡＶＡＴＡＲ") as his own "bunshin," what Vanguard and R both translate as avatar. 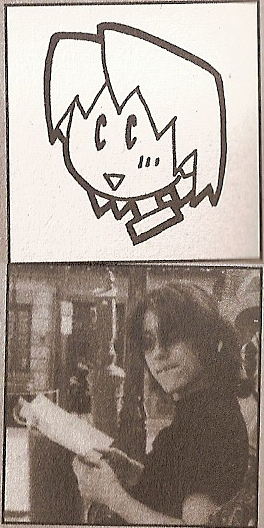 While Takahashi had the stronger presence in R's overall writing, there is no doubt that Ito's time spent working on this project and his involvement in it would go on to influence his own concept of avatar in Vanguard, particularly Suzugamori Ren and Aichi's own "devil's avatar," Blaster Dark. 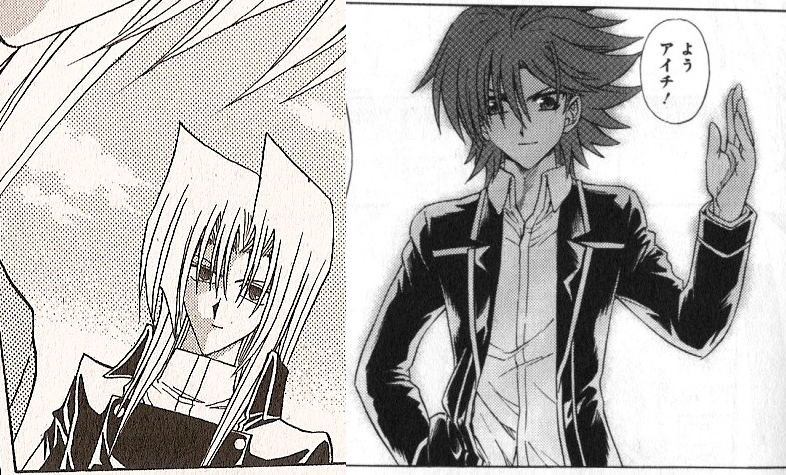 Reinforcing this comparison is how the Wicked Gods are portrayed becoming active in Yako's deck versus how the Shadow Paladins are active in Aichi's third deck. Both depictions show the active force as shadowy tendrils emerging from the cards themselves, disturbing the color and clarity of image around them. Just as The Wicked Avatar seems to "jump" from his deck into Yako's hand after this scene takes place, Vanguard seems to have taken the idea of making one's avatar appear at will and converted it into a game mechanic, through card skills that add specific avatars to the hand. The general train of thought that Vanguard follows out of R is that of corrupting force which preys on emotional need, and eschewing dependency on the supernatural in favor of personal strength as a mortal human being. So what can we conclude from these artistic parallels? As stated before, in both R and Vanguard people are not the ultimate source of evil. Evil takes place when an external force corrupts good intentions. 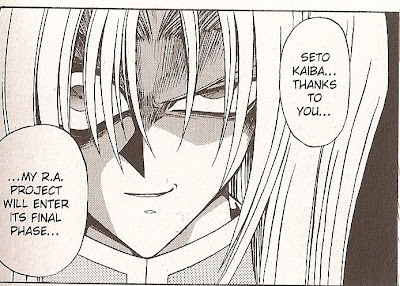 Just as R concluded with Yako repenting for his actions, letting go of Pegasus and being grateful that he did not "take away [Yugi's] smile," Ren will likely realize the error of his ways. Previews for the second season, Asia Circuit, showcase Suzugamori as joining Team Q4 on their overseas trip, which would support this theory. The primary conflict in both series is fundamentally an emotional one, where unprepared young people must cope with the deaths of parents and the betrayal of friends. For season 1's conflict to be concluded satisfactorily, Ren and Kai need only apologize to one another.